Can an insurance company spy on you? YES! Let's say you've been hurt in an accident of some kind. You're out of work and you need your medical bills paid and you need some compensation. The insurance company won’t pay you what you and your Syracuse personal injury lawyer thinks is fair. So you and your lawyer decide to sue the defendant. A few months later, you notice a van, with tinted windows, at several places you frequent. You happen to catch it kind of following you around and it seems to be everywhere you go for a while and maybe even parked right out in front of your house. What’s going on? Once you sued the defendant, his insurance had the right to follow you around and try to catch you doing stuff that is not consistent with your claimed injuries and limitations. Let’s say you injured your back and your doctor limits you to lifting only 20 pounds and says you can’t really stand or sit for more than 10 minutes at a time. The insurance company is going to want to “catch” you on film lifting more than 20 pounds and standing or sitting for long periods of time. Makes sense, right? When they can then show that video to the jury, it kind of puts a monkey wrench in your case. They will argue to the jury that you are lying about your injury and your limitations. You're not really hurt, they’ll say. And yes, they can do this. It’s perfectly legal. They can set up right outside your home, or outside where you work place. But usually they try to do it in such a way that you will not notice them. That’s the only way they can really “catch” you. Are the people getting “caught” liars and fakers? No, not usually! Usually the people they “catch” are really hurt. For example, let’s say you are not supposed to lift more than 20 pounds, but your 30 pound child runs up to you and wants you to pick him up. You grin and bear the pain. You don’t want to disappoint him. This is exactly what the insurance company wants to catch on tape. When the jury sees the tape they can't see the pain that lifting your child caused you, they can't see the heartbreak that it would have caused you if you refused to pick him up. All they can see is you picking up a weight your own doctor is saying you shouldn't be able to pick up. So they're going to try to convince the jury you’re faking. And the insurance company’s investigators can be very tricky. Our Syracuse personal injury lawyers had a client once who had a very bad back. His medical records and his doctor and the injured guy himself all said that he could no longer kneel because of his back injury. The insurance company set up a pretty woman with a flat tire (she was an actor, the tire was made flat on purpose). This setup was right outside the injury victim’s apartment. Our client walks outside into the street. The “damsel in distress” asks for help changing her tire. Our gentleman of a client then gets down on his knees to change the tire. And it’s all being filmed. Your personal injury lawyer, whether in Syracuse or elsewhere in New York, ought to explain to you when the lawsuit is filed that you have to be very careful to not do anything that, if caught on video, would undermine your credibility and the truth of your injury. 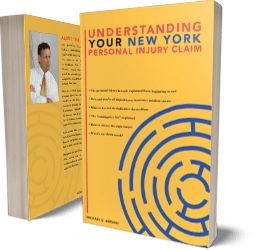 Our personal injury attorneys represent only clients (from Syracuse or elsewhere in New York State) whom they believe have serious injuries and who are honest. Even so, most injured people do go beyond their physical restrictions from time to time. There are many reasons they feel they need to do this. It is important that they be aware of the possibility of surveillance. A video clip of an injured claimant doing something that is inconsistent with his claimed injury usually hurts the outcome of the case. If you are legitimately injured, call the Syracuse personal injury attorneys at Michaels & Smolak for a free consultation anytime.